R.T. Castleberry is a co-founder and director of the Flying Dutchman Writers Troupe, a literary performance group. He was co-editor/publisher of the Flying Dutchman Writers Troupe poetry publication Curbside Review, assistant editor at Ardent and assistant editor of Lily Literary Review, an online publication. 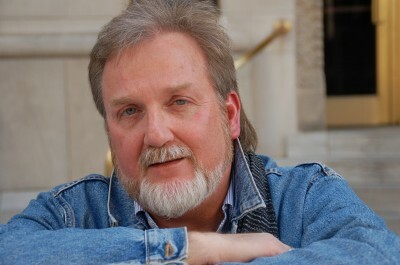 Mr. Castleberry has been publishing poetry and fiction since the early 1970’s, most notably in Travois: An Anthology of Texas Poetry, Comstock Review, Green Mountain Review, Santa Fe Literay Review, The Alembic, Paterson Literary Review, Caveat Lector, Illya’s Honey, Texas Review and Concho River Review. In April, 1999 he won the Houston Press/ National Poetry Month writing contest. He was the winner of the online magazine Liquid Muse 2002 poetry contest. He was Epiphany magazine’s featured poet in April, 2004. He was included in the Best of Branches 2004 issue. He was a finalist for the 2008 Arts & Letters/Rumi Prize for Poetry. Mr. Castleberry’s chapbook, Arriving At The Riverside, was published by Finishing Line Press in January, 2010. An e-chapbook, Dialogue and Appetite, was published by Right Hand Pointing in April, 2011. Mr. Castleberry was a juried poet at the 1988 Houston Poetry Fest and has been the featured poet numerous times at the Houston Poets Workshop First Friday series of readings. He has been featured at the Saturday Poetry In The Arts series in Austin, TX; Community Artists Collective Coffee Talk series in Houston, TX; UNESCO-sponsored “Dialogue Among Civilizations” in Austin, TX and the Poetry Society of Texas-Dallas, TX and the 2011 Word Around Town Tour. In 1994, Mr. Castleberry received a Certificate of Merit for Literary Excellence from the University of Houston. In 1999, his work was chosen for the Metro Downtown Transit Streets Project “Texts In Context.” The “Texts In Context” project uses historical documents, poetry and prose from authors with a Houston or Texas connection to illuminate Houston history. The 100 texts chosen were engraved on 2ft X 2ft. granite paving stones and placed on sites in downtown Houston, TX in 2004. Mr. Castleberry’s is situated near the Houston Public Library crosswalk to Houston City Hall. 1993: “The Poet As Performer: Presenting Your Work Before An Audience” at the 1993 Houston Poetry Fest and for the writing groups, Poets At Work and The Manuscriptors Guild. “The Cattle Tanks of Jefferson Parish,” a spoof of Robert James Waller’s “The Bridges of Madison County,” co-written by Carolyn Davis, was given two staged readings in 1995.